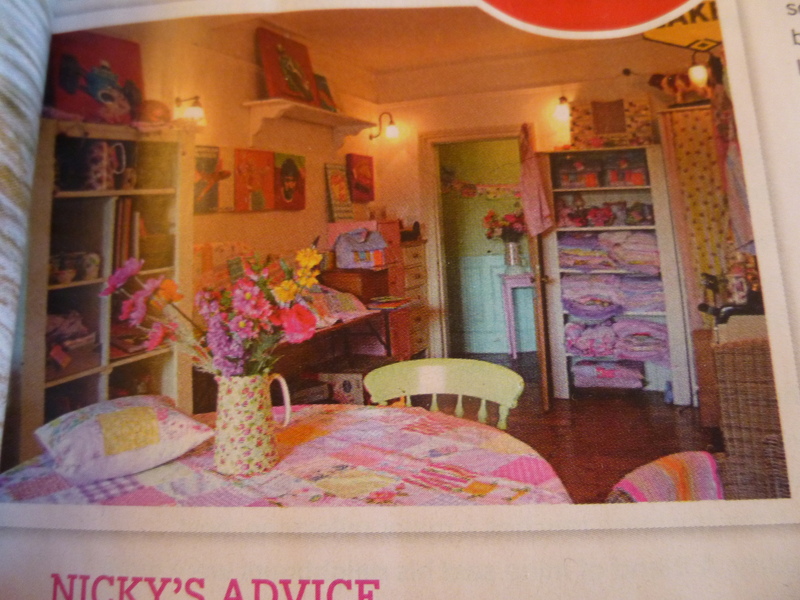 Three of my things on the front cover of Prima Spring Makes magazine April 2013 !! 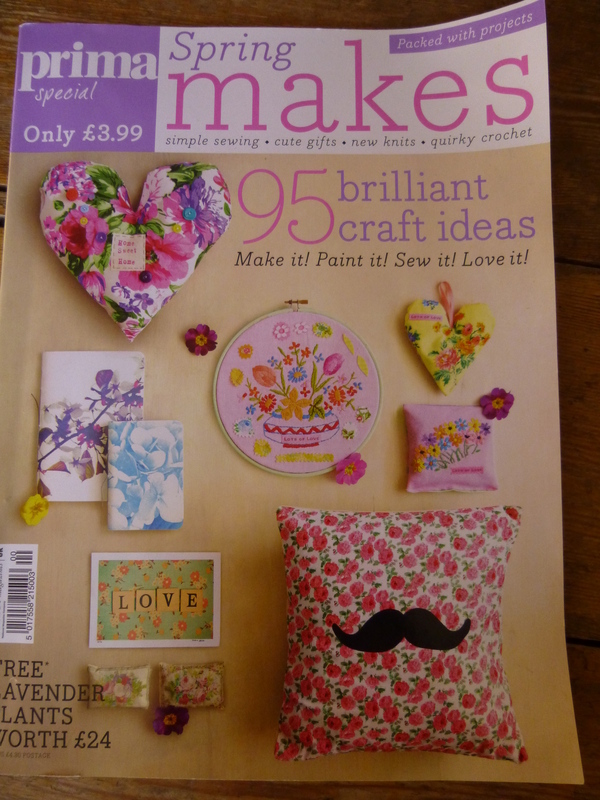 It’s a beautiful magazine and the front page and the styling was done by Selina Lake. 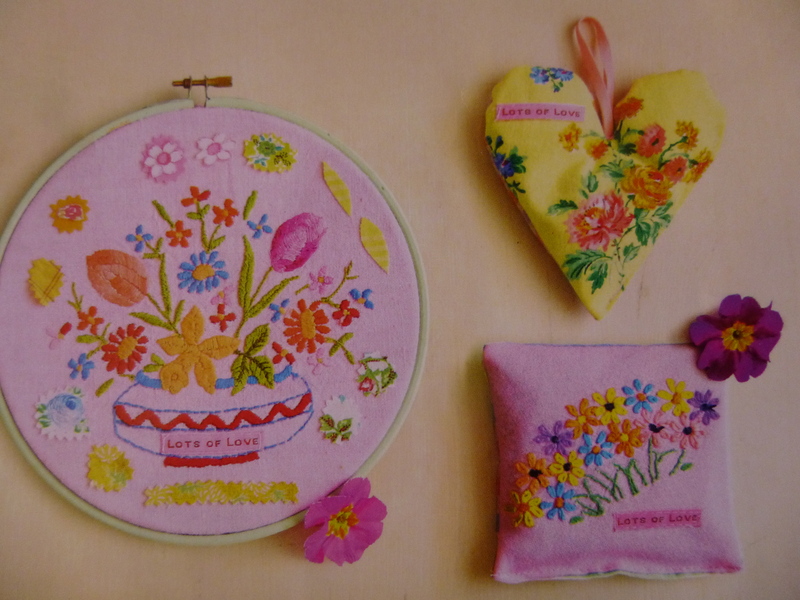 The floral heart (top left) and the moustache cushion are by Thimble & Bobbin, the Aunty card is by Abigail Warner, the little floral note books are by Emma Wilson, the LOVE postcard is by Cassia Beck, the lavender card and vintage lavender pillows are by Sesame and Lilly and the vintage embroidered hoop, lavender bag and yellow floral lavender heart are by me !! Blimey that took ages, I’m not a natural at all this copy/paste/link business but I wanted to acknowledge all the other artists on the front cover with me. 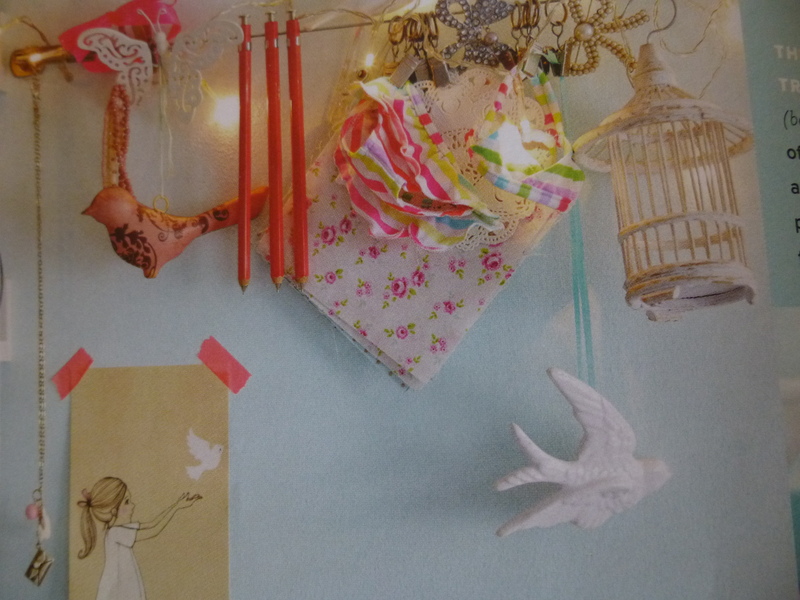 Amongst all the beautiful pages is a six page spread about stylist/maker Torie Jayne who’s well known for her amazing blog. 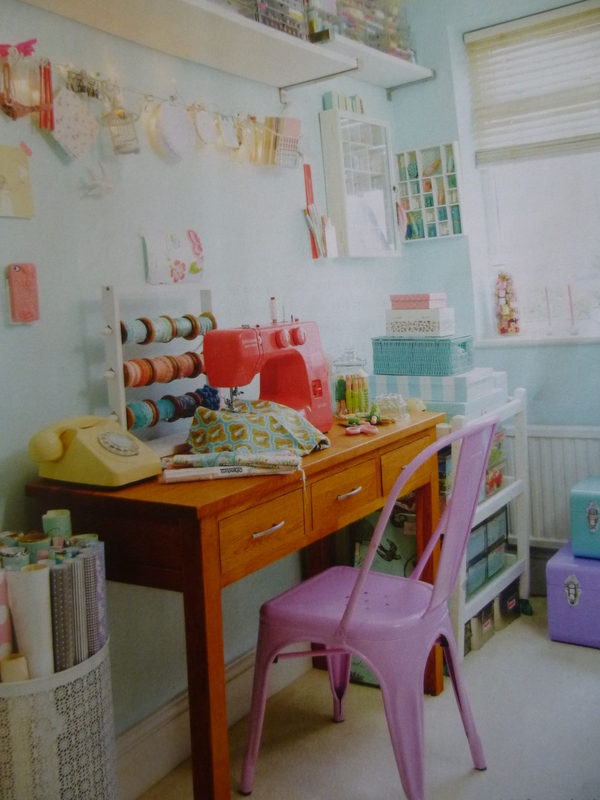 Torie’s workroom. I love that pink chair !! 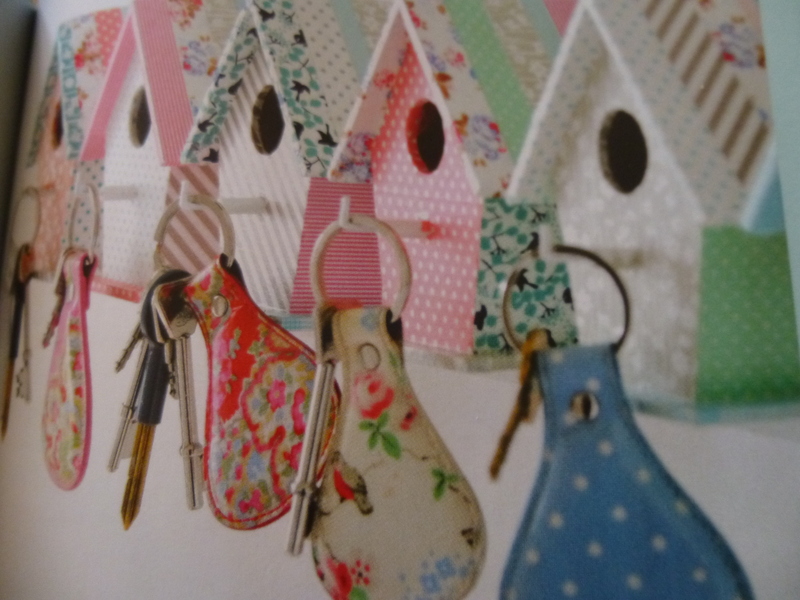 I met Torie at Selina’s book launch a few weeks ago when she came to my stand and introduced herself. I was quite taken aback because I didn’t know she’d be there. 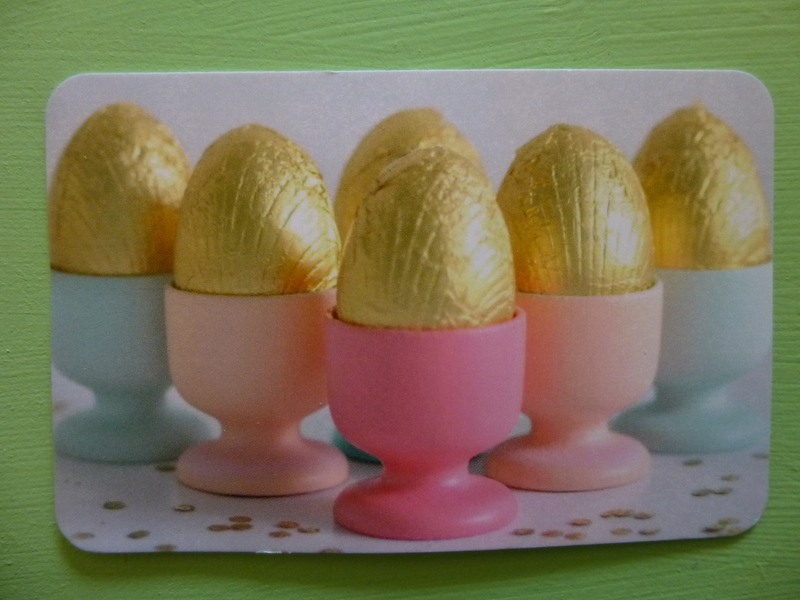 She gave me her card and I’ve kept it safely because it’s SO lovely. One of the nicest business cards I’ve ever seen. 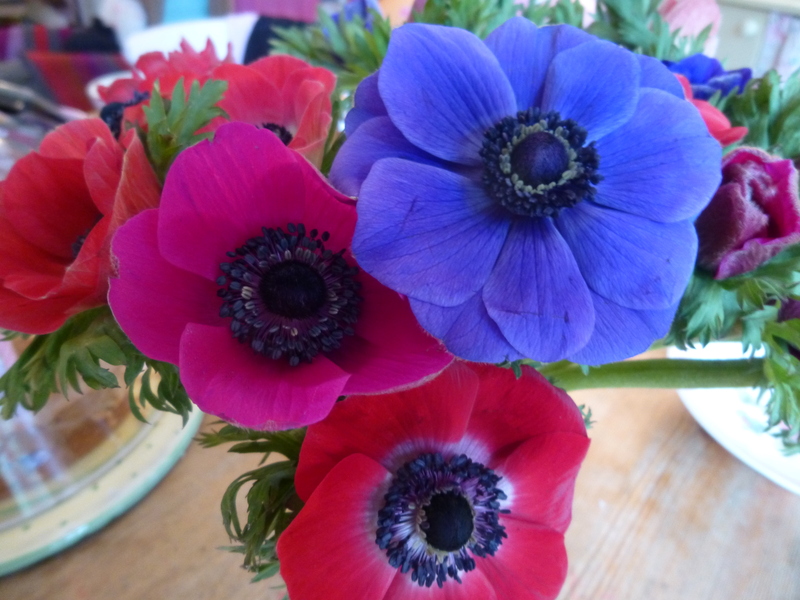 Anemones and an article in Prima Magazine. were fuddy duddy, musty, dusty old lady flowers. I’ve sort of grown into them now. Oh dear. They are amazing actually aren’t they. 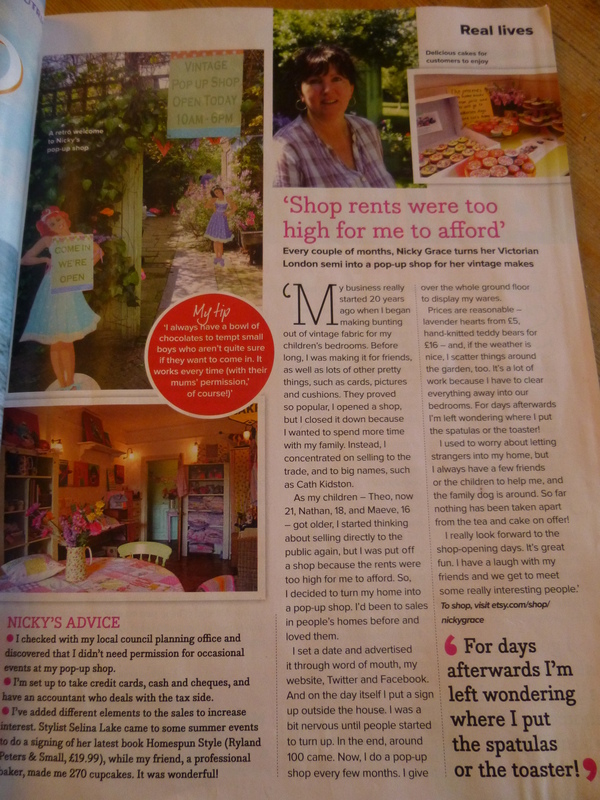 There’s an article about me in Prima magazine, the April edition which came out about 3 weeks ago. Mags are always weeks ahead of themselves it seems. It’s quite odd seeing what you’ve said written in print. A bit surreal. 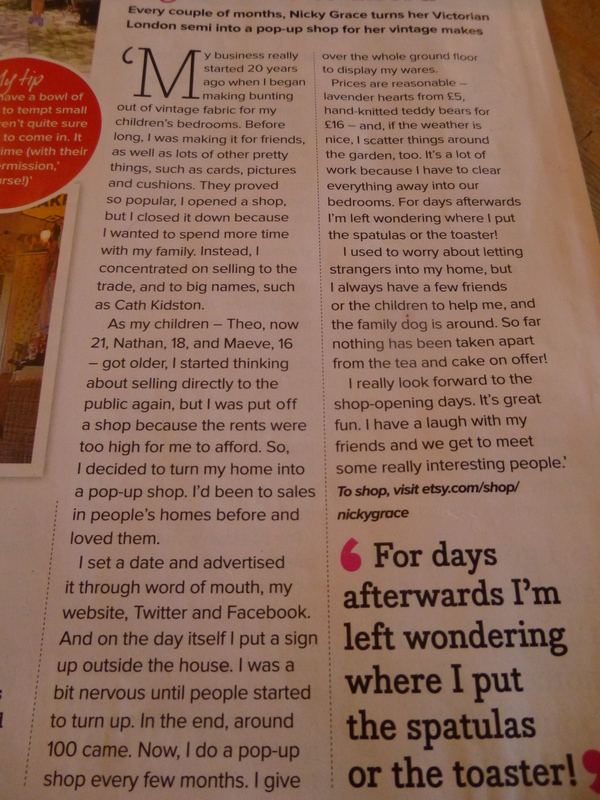 It was an article with three women, me being one of them, who had shops in their houses. Gosh it’s tidy. I wish it was always like that. I’m a very untidy person. 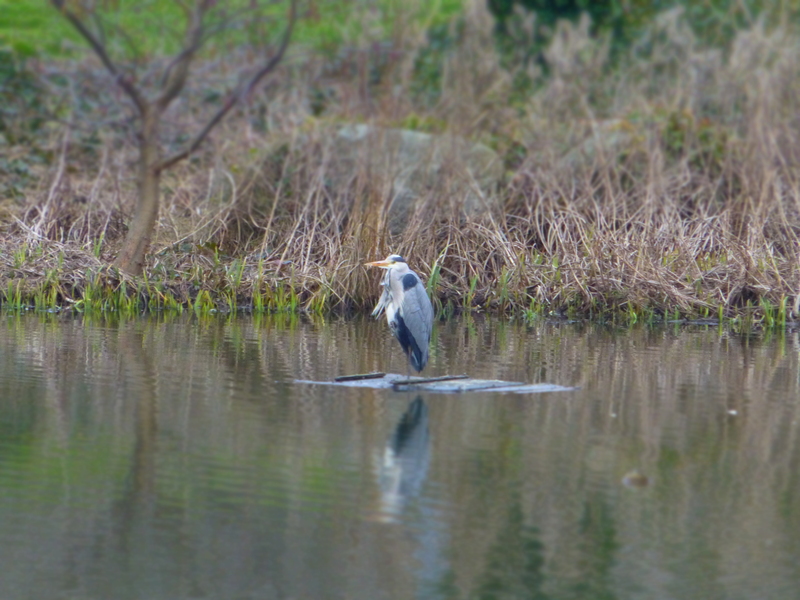 Here’s a stork on the pond in the park where I take the dog. I think it’s a stork. I know that to people who live in the countryside it’s no big deal but for me it really is something special. It was absolutely freezing on that day last week and it just stood there completely still. I see it quite often. 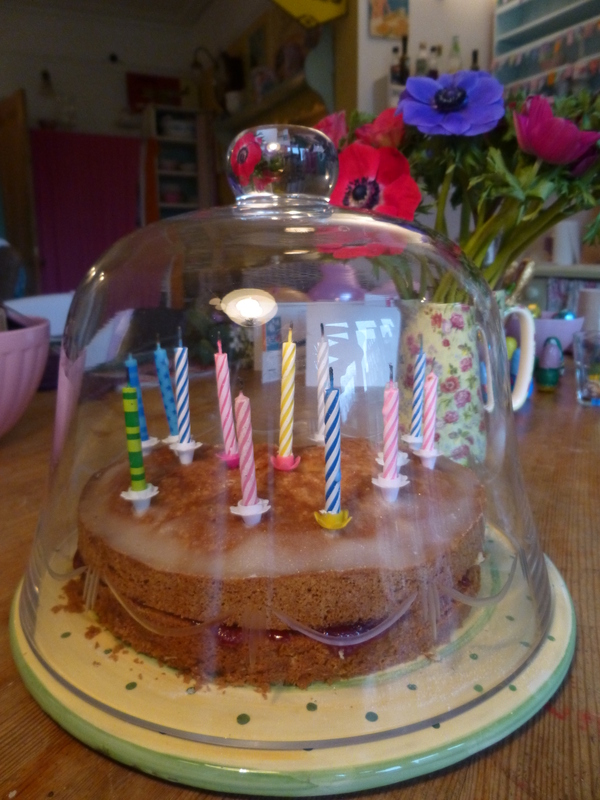 Lets have cake…….lemon drizzle anyone ? 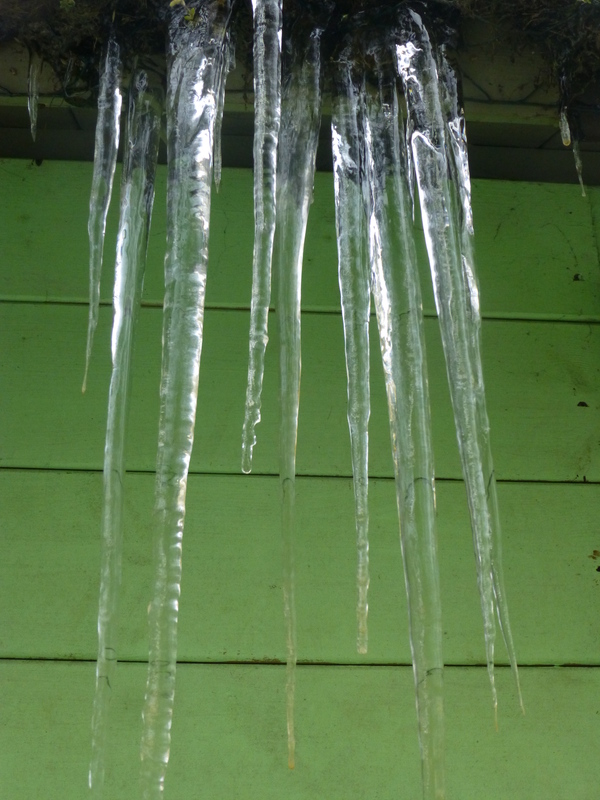 These were the icicles we woke up to yesterday. 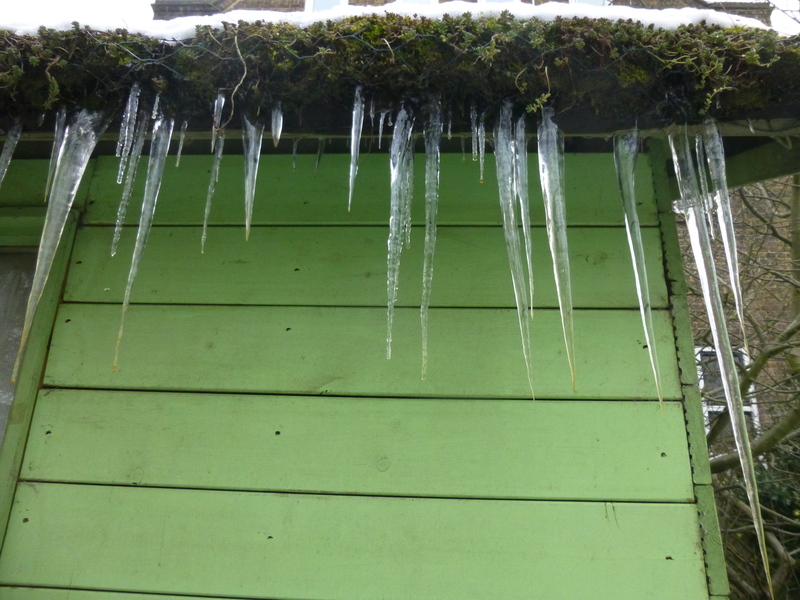 I’d been calling them stalactites, partly because I’ve always loved that word but apparently stalactites are only the ones in caves and and the ice ones are just….icicles. 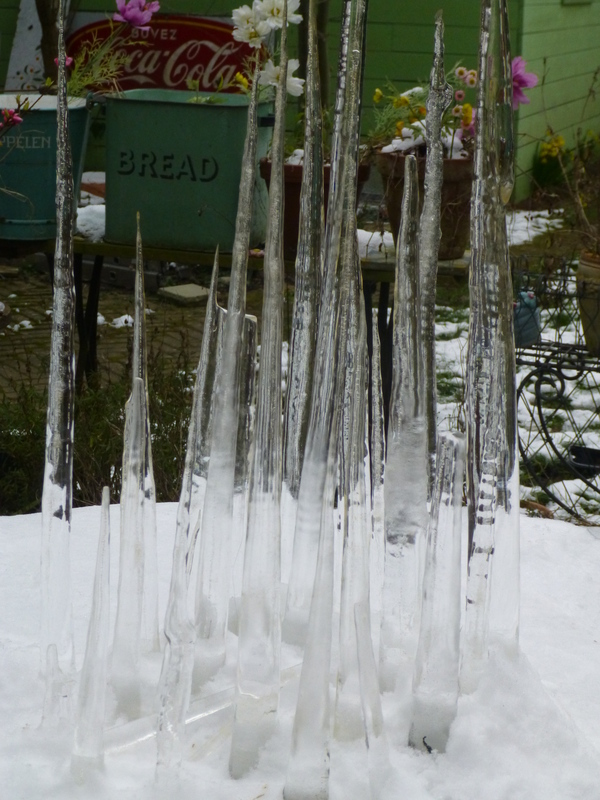 My son came home early evening yesterday and broke some of them off and made a little ice palace on the garden table. I thought they’d be gone this morning, blown down or melted but it’s still there. 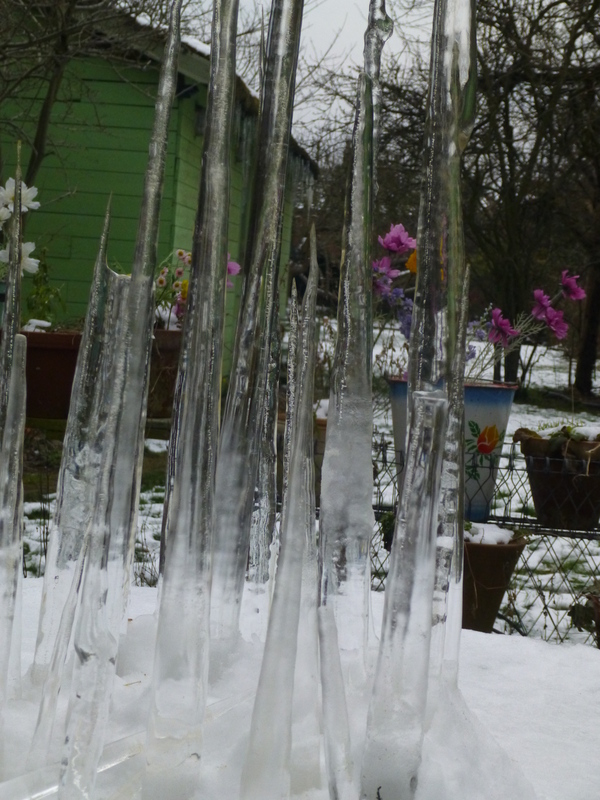 The longest one is 83 cm high ! This was just a bit of fun and my fingers are cold as I type, however there so many people and animals in other parts of the country and on the continent who are suffering terribly and my heart goes out to them. A lot of them have had no electricity for days so I with my beloved electric blanket feel so blessed and lucky compared to the misery of so many. On the news last night there were pictures of a farmer literally digging his sheep out of the snow. It was so high you would never have known there were big animals below. One of the sheep had given birth a few hours before but there was no happy ending. It’s shocking this bloody weather. Most people I know are fed up with it, it’s boring, grey, cold and there’s snow when there shouldn’t be but lots of people are suffering hardships that I can’t imagine. Well done to all the emergency services and other heros who are working so hard to help the people in need. I hope it’s over for them soon. Colourful bowls of vintage flowers. I’ve been making some flower collages which I absolutely love doing. 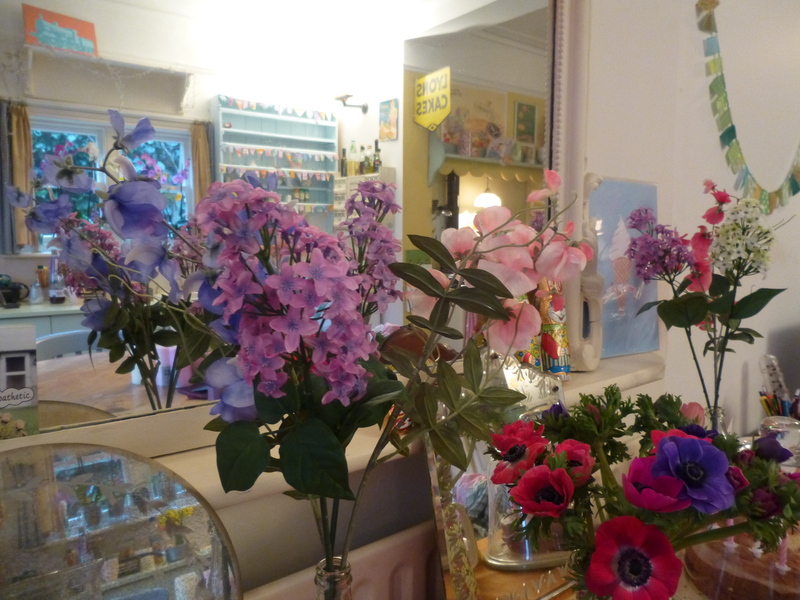 I was a florist for about 10 years during the eighties in our family business which was a Dutch/continental flower shop in London so I’m no stranger to flower arranging. 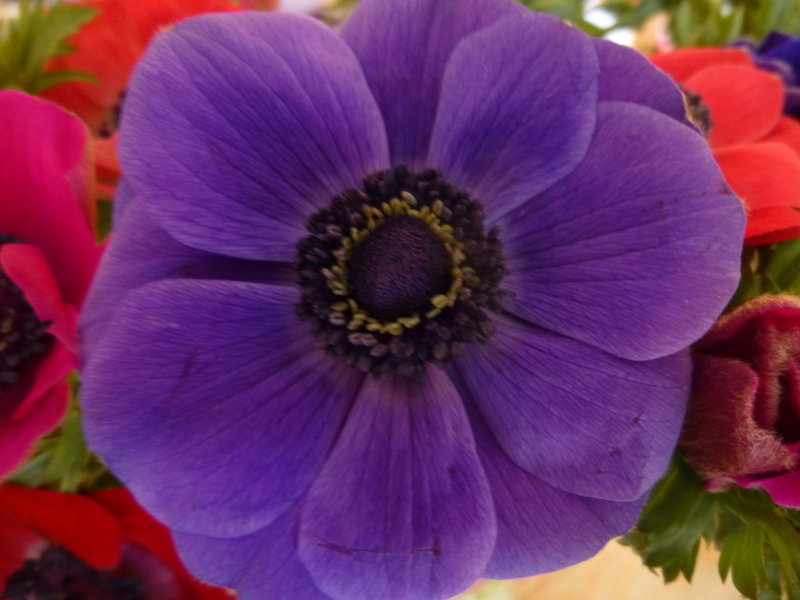 I’ve always loved hot, strong clashing colours and where as most of our customers preferred the safety of elegant white bouquets and arrangements, when they saw the wonderful, vibrant clashes of carefully selected orange, pink and red flowers flown in straight from the growers in Holland, they gradually loved those colour combinations too. This fabric is from the thirties and forties and I cut out the flowers by hand. It’s much warmer than working in a busy flower shop and I don’t get rose thorns in my hands. What a lovely surprise to wake up to. 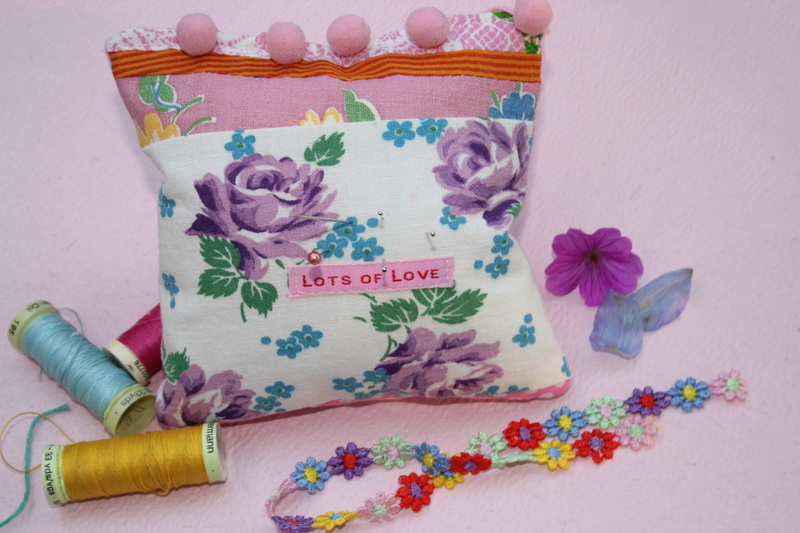 My little vintage fabric pin cushion with pink bobbles is going to America. I wish I could take it there myself.